We would like to wish you and your family a very happy holiday season! We are grateful for all of your wonderful support in our fledgling season of selling produce through the Nebraska Food Coop. It was both rewarding and humbling to take part in providing healthy food to our customers, that at the same time respects the health of the Earth. Expand production using urban land, through partnership with the City of Lincoln and Cook Grow Sew. 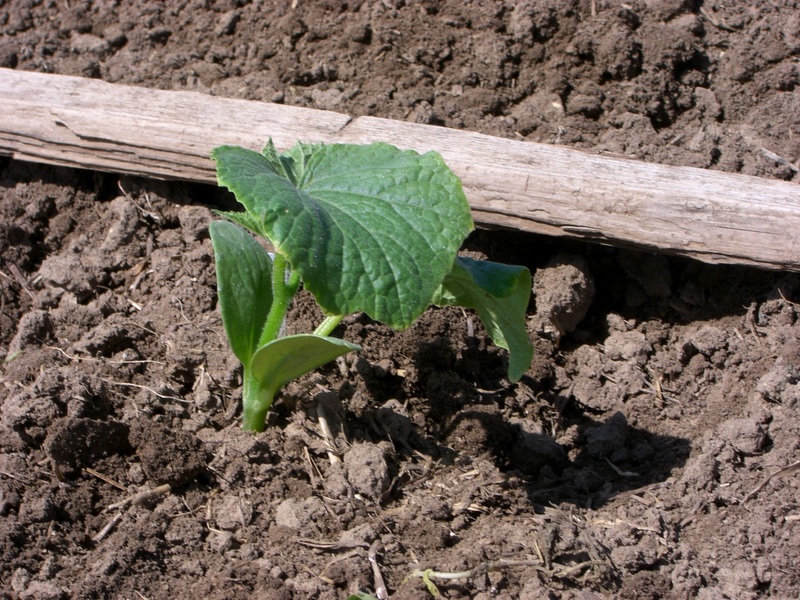 Become a supplier of plants for Community CROPS’ annual plant sale. Become GAP certified and create a food safety plan. Become a producer for the recently formed Nebraska Farm to School program. This awesome program provides a channel for safe, healthy, and sustainably-grown food to enter the school systems of the state. Best wishes for a prosperous New Year! 7:00 start harvest. This week’s offerings were new potatoes (do you know the definition of new potatoes? keep reading), zucchini, cucumbers, eggplant, chard, basil, and tomatoes. Ruth tries not to repeat the same veggies two weeks in a row. She gives recipes as well. 10:00 Ruth begins cleaning and packing while other harvest continues. Heavy items go in the box first. Chard is harvested by bending the stalk back where it joins the plant until it cracks, then tearing cleanly off to the side. The goal is to minimize damaged material left on the plant, which encourages rot. Zucchinis are harvested with small snips to cut through the stem close to the fruit, taking care not to nick or mark the skin. Once clear of the plant, trim the stem square if needed so there are no angled edges to cut a neighboring fruit in the collection bin. Collected zucchini are dunked in cold water to cool them off. Tomatoes are harvested by cupping your hand around the fruit as much as possible to eliminate pressure points. Finger marks can become noticeable bruises on a ripe tomato. CGF harvests every 48 hours. Ones turning even a little red are picked to finish ripening. They are sorted into three bins: ripe, ripening, damaged/slop. Tomatoes ripen from the bottom of the plant up. Potatoes are dug up by a potato digger implement pulled by a tractor. 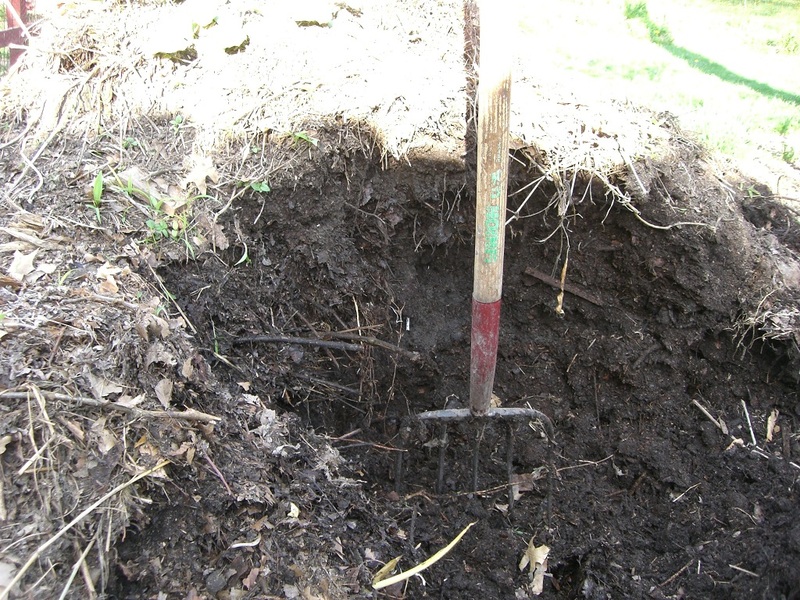 A person follows, collecting the potatoes in bins and sometimes picking through dirt clods to find any hidden ones. Once collected they soak in water to loosen the soil. Basil is clipped in stems about 6 inches long and bundled 7 to a bunch. The stems are clipped just above a leaf node, to encourage regrowth. Flower buds are ok to include in the cut basil. Tip the collection bin on its side to shade the cut bunches from the sun. Basil turns black if it gets too wet so just give a quick dunk in cold water. 2:00 harvest and packing nearly done. Tomatoes are added to the box last. This week it was 4 pounds worth per box. Place tomatoes stem side down. The weight of a ripe tomato may cause slight pressure marks on the bottom. If the stem side is down, marks there will be cut off anyway when the stem part is cut out. A 2-page newsletter is added to each box. The 37 boxes are loaded into the van for delivery to the drop site. 3:00 depart to drop site. Drop site for Mondays is a private home near East Campus. 3:30 customer pickup. Ruth doesn’t not stay the entire time so most of it is self-serve. Customers transfer the contents of the box to their own bags/boxes. The wax-coated share box returns to the farm for next time. Bin(s) of extra/imperfect veggies are set out for customers to take what they want. 6:30 Ruth collects remaining items such as no-show boxes. They have the option to pick up from the farm but sometimes don’t. In this case they forfeit that week’s vegetables. Other notes/observations. Only the best produce is kept, quite a bit of culling is done from my untrained eye. The labor to cut up inferior/damaged produce is very time-consuming so the good news is I got free produce! All of the rest goes to the animals. This week I threw all the scraps to the youngest chicken coop. The birds really went for the tomatoes. I saw one pick up a tomato and carry it away from the others so it could eat it all by itself. Answer: New potatoes are harvested while the plant is still green. The skin of the potato is thinner and more tender. New potatoes can be large or small, depending on the variety. 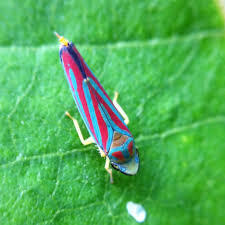 I was looking at the arugula tonight and came across a tiny insect I hadn’t encountered before – a candy-striped leafhopper. It was only about a quarter of an inch long. There were several. A quick Google search said it feeds on plant sap by piercing the leaf tissue. It is thought to be a mechanism for spread of plant disease from one plant to the next. It expels excess sap from its body, and the sweetness may attract other insects. From my search I didn’t get the impression that it was a catastrophic pest. I haven’t noticed any spotting, wilting or curling on the arugula so far so let’s hope for the best and for the moment just marvel at their brilliant psychedelic coloring! Who said cooking with healthy, whole food is too much work? There is a conception out there that modern, processed, grocery-freezer-aisle food is the way to go for busy lives. Open the box and pop it in the microwave. That, or picking up drive-through fast food, has become the defacto level-of-effort benchmark for cooking. Who has time to cook, even to open a can of overcooked bland-tasting soup? And just forget about cooking from scratch using whole ingredients! We don’t have the luxury to devote hours to prepping and combining dozens of ingredients, are you crazy? I am in fact crazy, but let’s not change the subject. 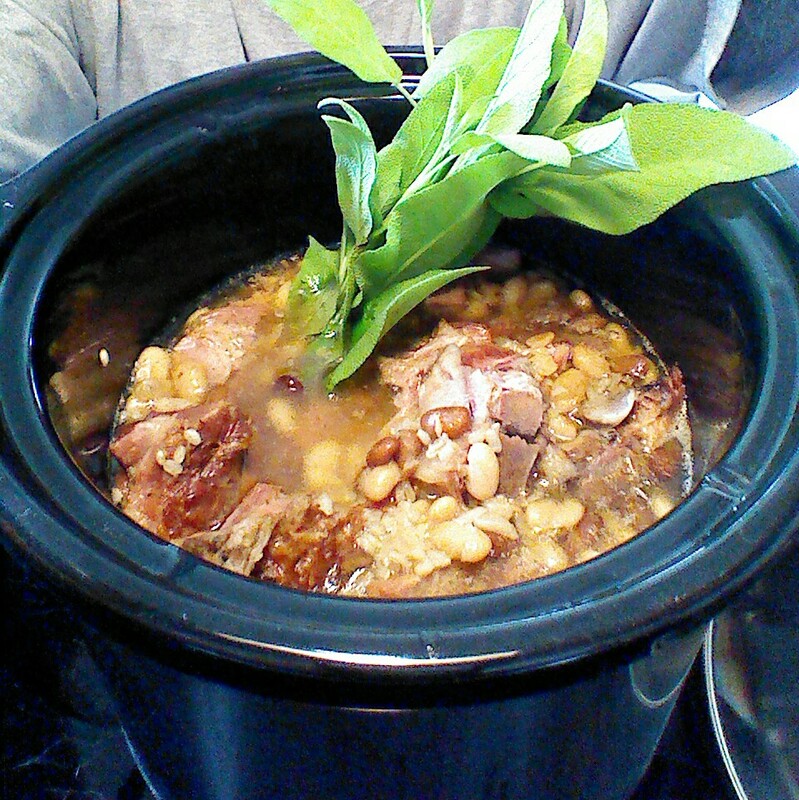 To test the notion that from-scratch cooking takes WAY to much time and is out of the question, try this: put a couple of ham hocks from your favorite local farmer into a slow cooker frozen (yes, frozen), add a cup of dry beans, maybe navy or pinto (unsoaked, no overnight soaking here! ), 2-3 cups of water or broth, don’t measure too carefully (I used a jar sitting on the counter). Turn on high and go do yard work or something. A few hours later add a cup of uncooked brown rice and another 2-3 cups water and continue cooking. When everything is soft and the ham *falls* off the bone (yum!) stuff in a handful of sage from your garden – no you don’t have to remove the stems or mince it and dirty up a knife and cutting board. Grab a glass of red or a cold one and you’re set! Beats Burger King every time! Done and done. Now that I’ve proven the naysayer’s wrong, you may thank me. Jetting to meet up with my wife who is on a preparatory trip in Europe to do a cross-cultural study of local food systems. 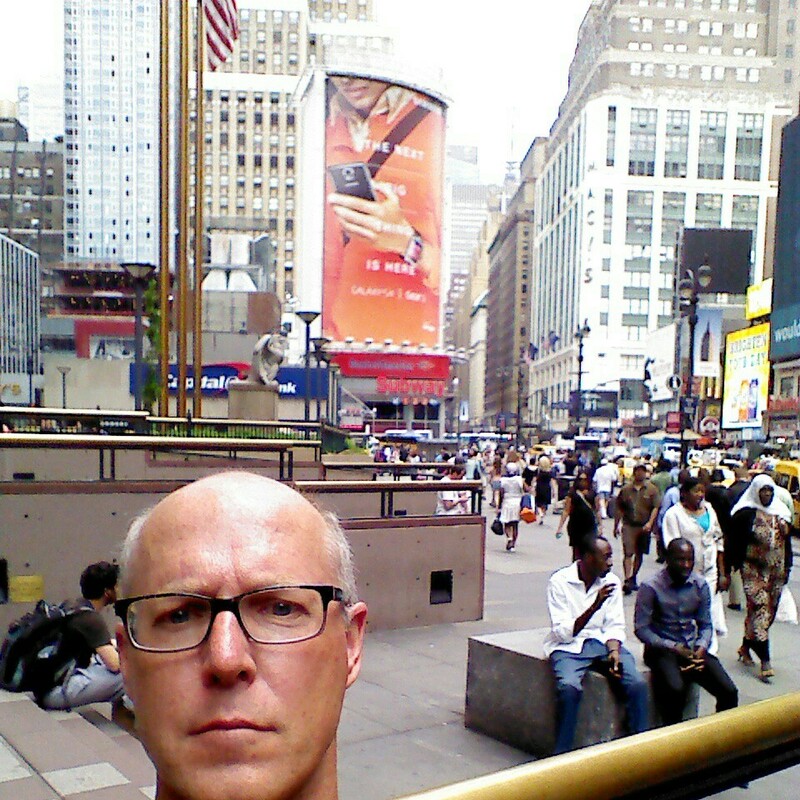 I decided that with a nine hour layover in Newark it would be a perfect chance for a quick jaunt to see Manhattan again. Hearing so much about the prevalence of local food in the Big Apple I determined that my lunch should appropriately come from a farmer’s market in the city. 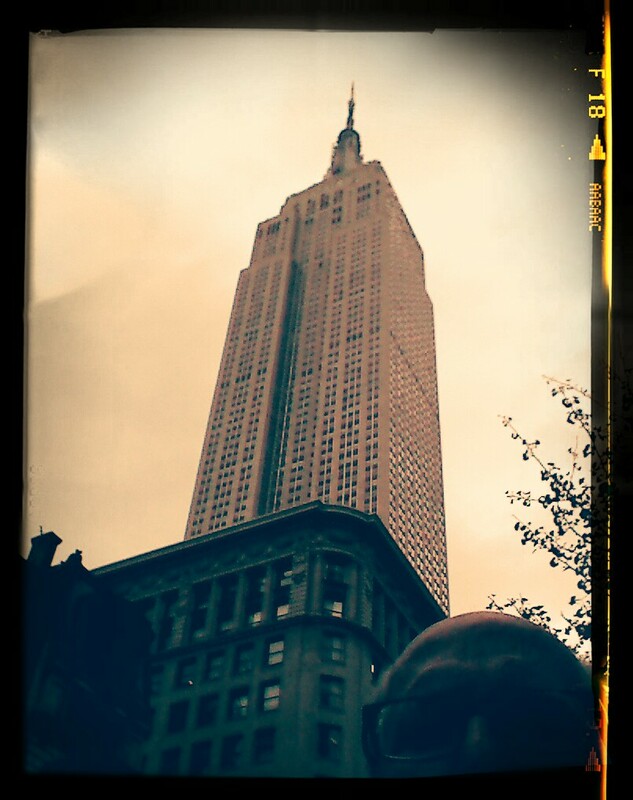 As I found out online, in NYC you don’t just find out where the market is, you choose from several in each borough AND which day of the week you would like! 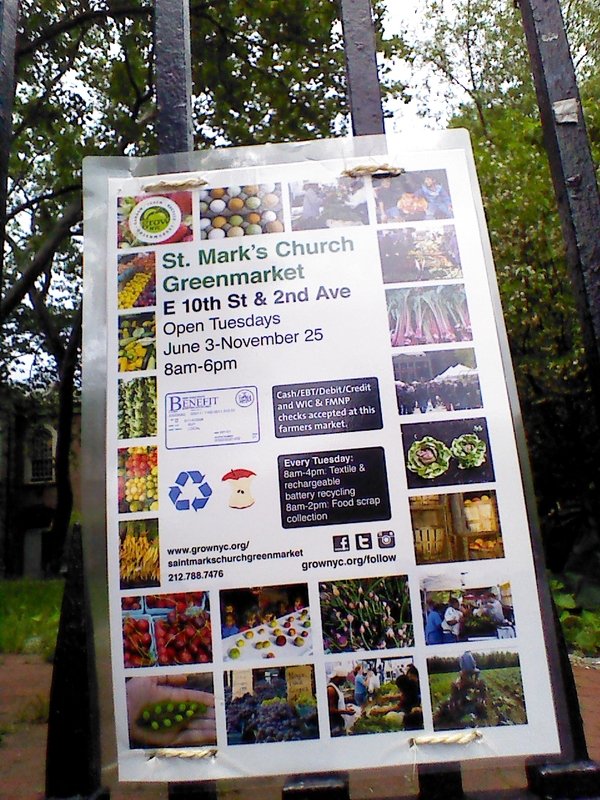 I chose a small one open on Tuesdays called St. Mark’s Greenmarket at East 10th St & 2nd Ave. Google said it was 1.7 miles from Penn Station where my train deposited me from the airport, and I was feeling energetic, so subway shmubway, I’ll just walk! 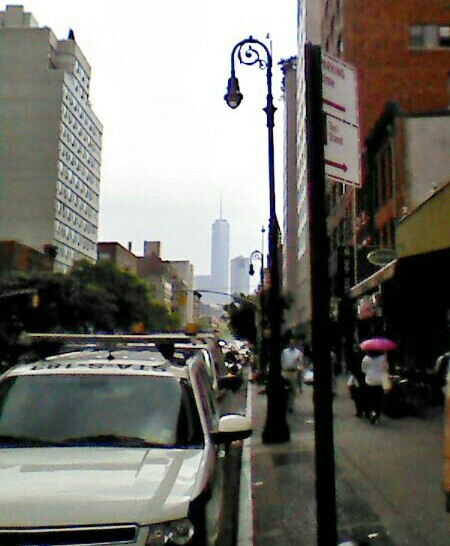 While we’re walking, here’s the Empire State Building. I should mention that it is moderately warm and humid and as I perspire pretty easily, things are starting to become uncomfortable. Carrying a heavy non-roller bag isn’t helping either. Realizing where spontineity has landed me, I wonder about my end game, will people around me on the flight to Oslo be grossed out since I’ve now sweated out my T-shirt? I duck into a Walgreen’s to absorb some air conditioning and buy a cold Gatorade. Helps! I continue on, not sure which neighborhoods I’m passing through and definitely not seeing many/any local food eateries. Finally passing through a charming side street of brownstones, I indeed see what must be St. Marks church with its adjacent micro-park open space and read this helpful sign. Let’s read that more closely – it opens Tuesday June 3. Today is Tuesday May 27. Ahhhhhhhh! Yeah, Alliums are like that. 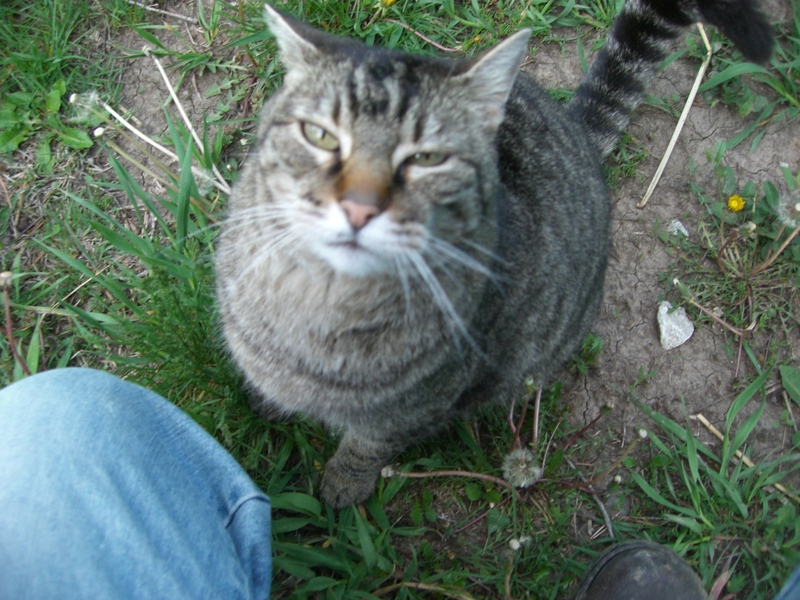 Pssst, buddy, you got any Allium on you? 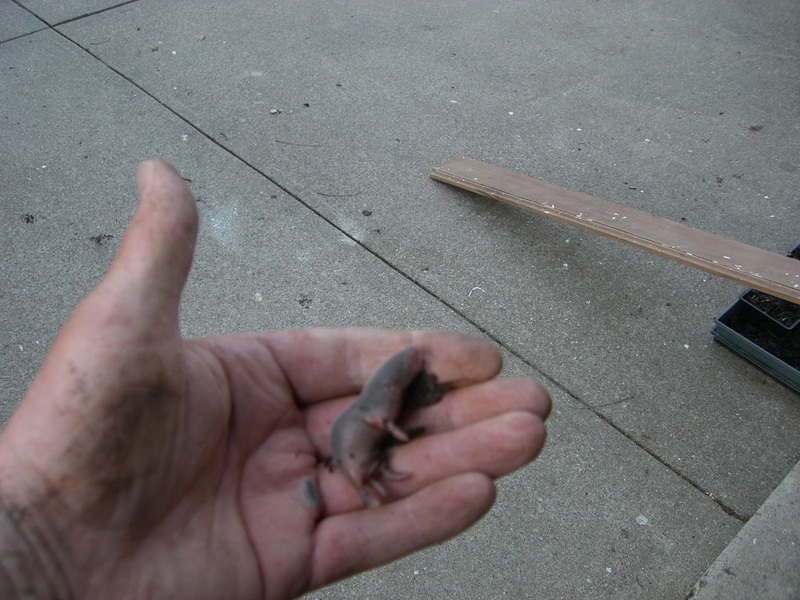 Forking out compost for our raised beds today, I unwittingly unearthed a scoopful of blind, hairless baby moles. I think we got all of them returned to the mother, but I’ll probably let the news story speak for itself. Tragedy struck the Mole family today in the backyard compost pile. It was a peaceful Sunday afternoon in this neighborhood of middle-class compost piles. Suddenly out of nowhere, a giant metal thing was thrust into the rich decaying compost, an event which brought upheaval into the lives of Ms. Mole and her six children. “I heard this awful sound, like the Earth itself was being wrenched apart”, said Ms. Mole. “Suddenly everything around me was shaking and trembling violently. I ran up tunnel #4b and when I got halfway to what should have been the grub pantry I looked up and saw nothing but daylight. Of course being a mole I have very poor eyesight, but still. At that point all I could think of was where were my kids? Authorities are investigating the cause of the giant metal thing, which they believe may be extraterrestrial.